PUNE: The officers of Pune Customs Commissionerate on suspicion intercepted a passenger named Umar Faruk Chand Shaikh, a resident of Bhagat Singh Nagar, Tambe Lane, Linking Road, Goregaon-W, Mumbai on Thursday at Pune International Airport and recovered gold wires weighing 618.000 gms valued at Rs. 18,44,730 which was concealed by stitching the said gold wires all round the piping boundaries of his two hand bags. Umar Faruk Chand Shaikh had arrived on Friday at Pune by Air India Express, Flight No IX-212 from Dubai. Shaikh attempted to clear himself through the Green Channel by filing a customs declaration. However, the Customs officers suspected the movements of Shaikh at the arrival hall of the Pune International Airport and hence a personal search was conducted in the presence of two independent witnesses. During the personal search, it was found that Shaikh had concealed the said gold wires in his two hand bags on the pipings/edges of the said hand bags which was wrapped inside thin plastic and wounded by a metallic strip. The same was retrieved and seized by the Custom officers. Shaikh had attempted to Smuggle the said gold wires with an Intention to evade Customs duty. 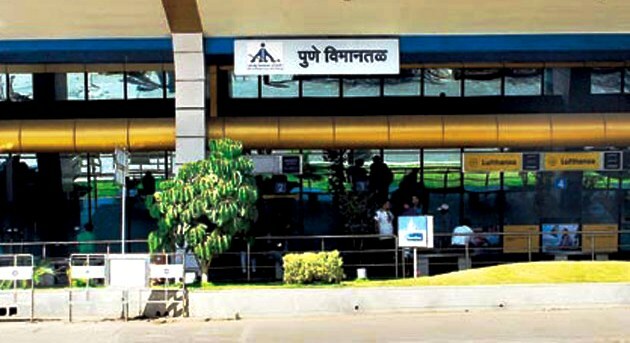 The case is under investigation by the Air Intelligence Unit (AIU) of Pune Customs.